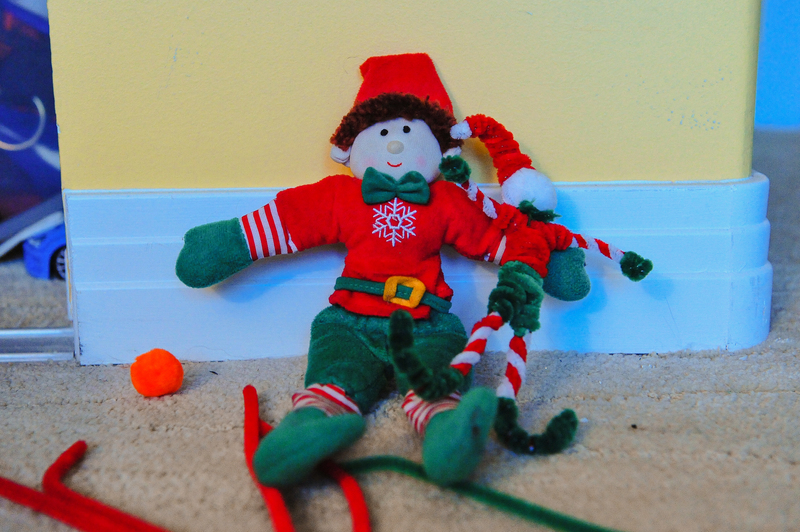 In 2012, our Elf got wilder and more creative with his escapades. 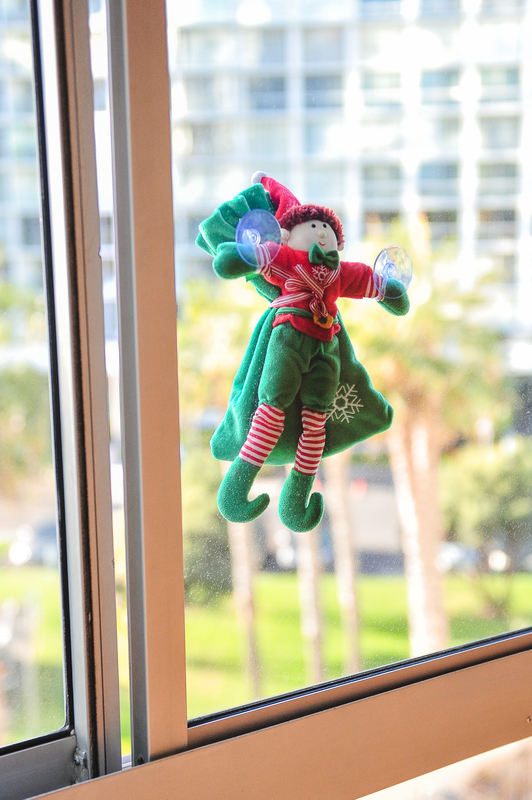 Elfie, our crazy elf, arrived via climbing the windows with suction cups. 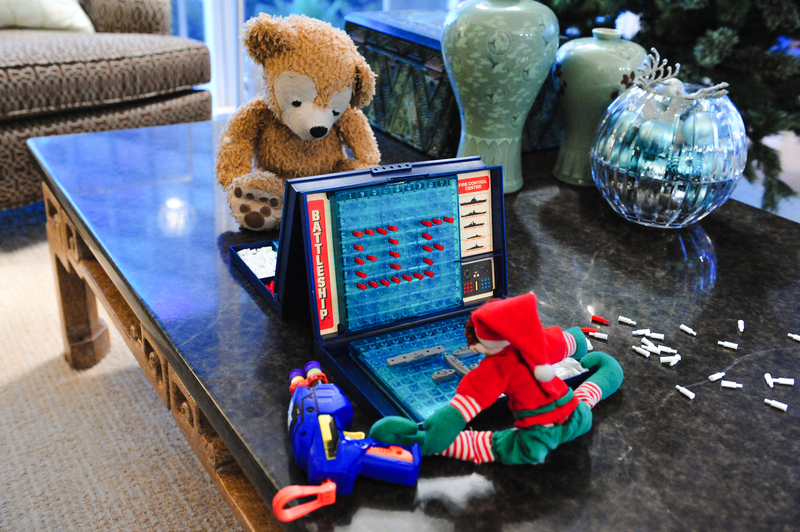 Playing Battleship, although he seems more concerned about spelling his name. 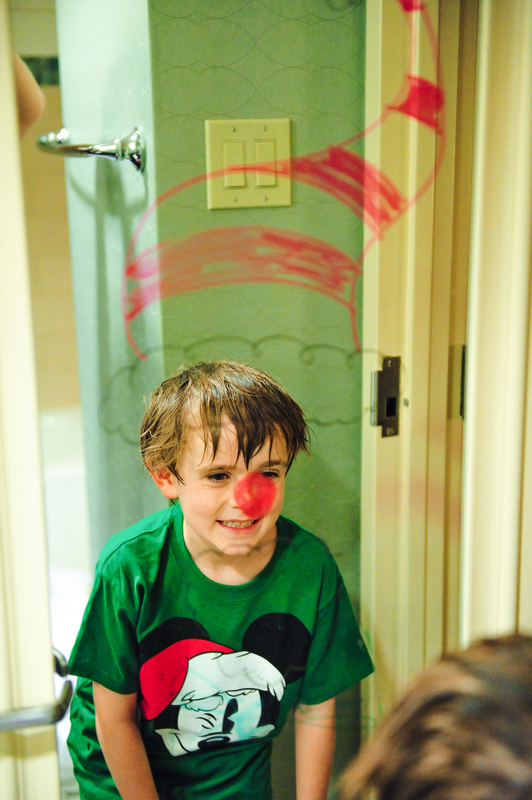 He colored the hotel mirrors with reindeer noses and elf hats all over the mirrors. 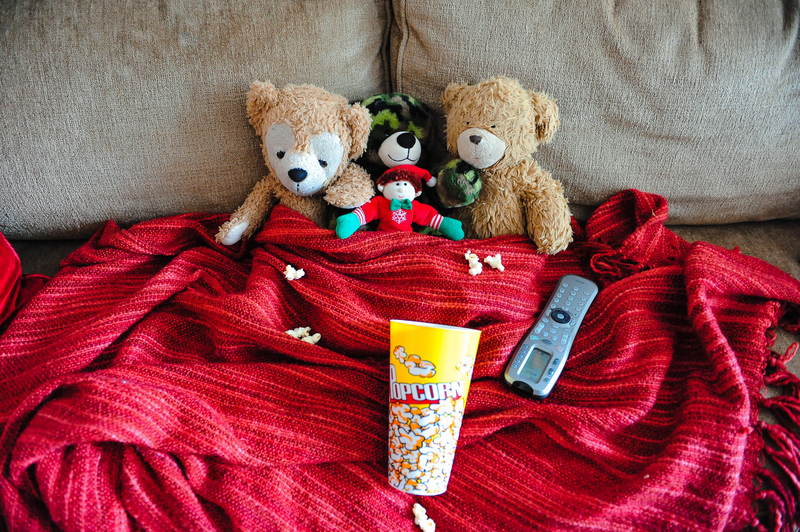 We found Elfie watching Christmas movies and popcorn all over the floor from the kitchen to the living room. 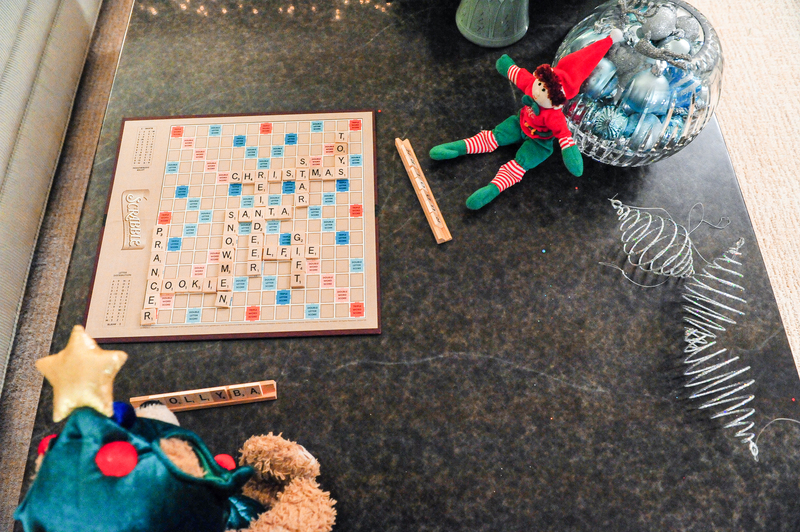 It looks like a game of Scrabble solely using Christmas words. 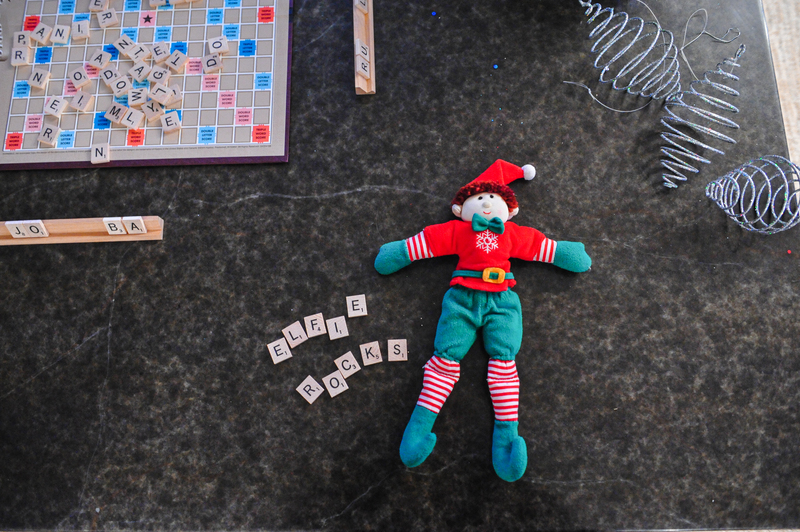 Elfie continued to send us messages with scrabble tiles. 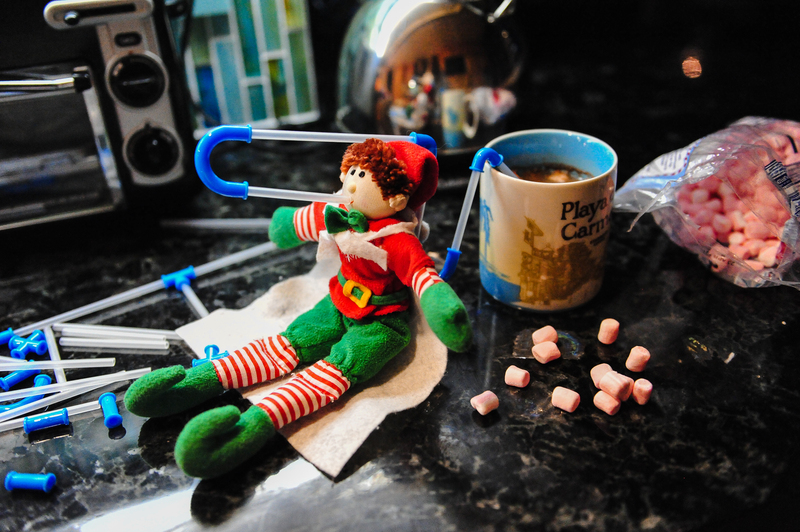 Enjoying some hot chocolate with a crazy straw and marshmallows every where. 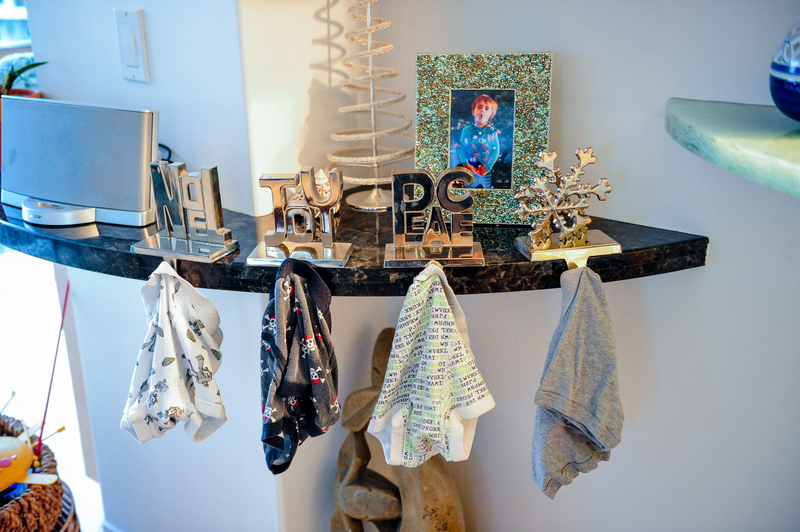 One mischievous Elf replaced all our Christmas stockings with underwear. 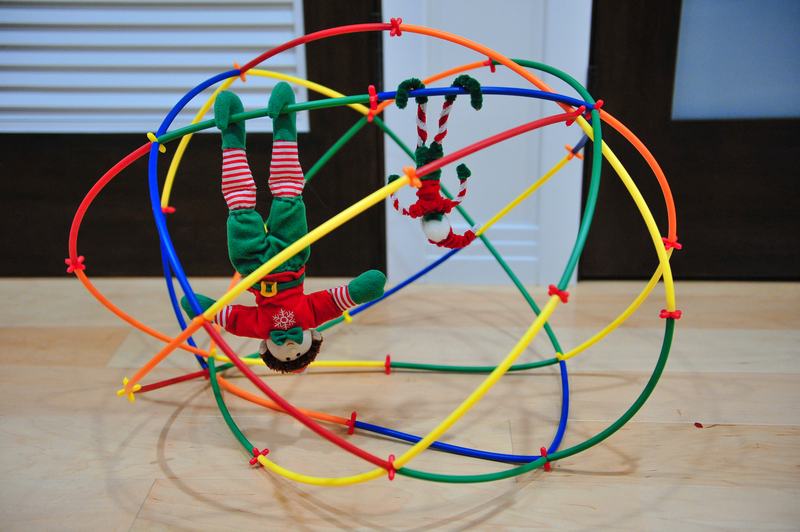 Elfie is also very crafty as he created a pipe cleaner version of himself. 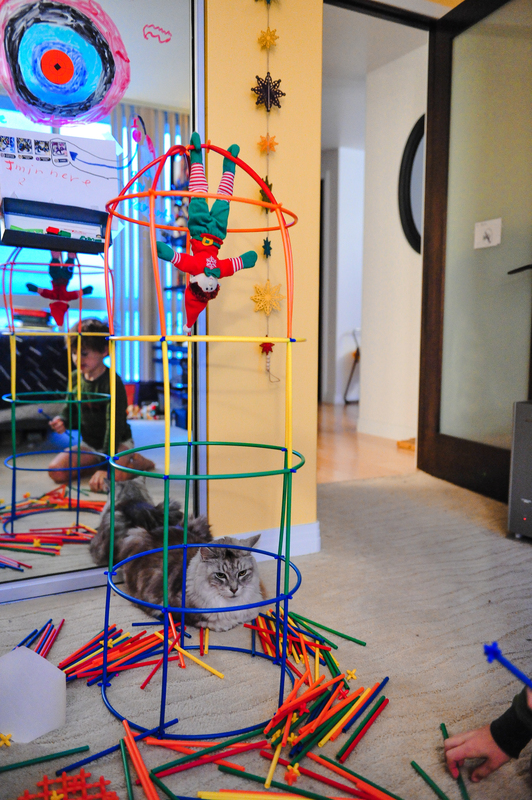 One day he showed up with this straw building set. And kept creating new structures. 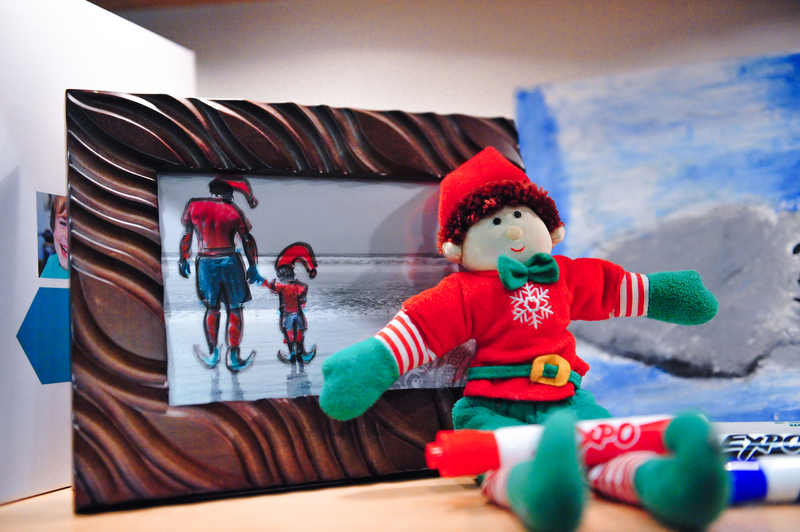 Then he took all our framed photos and colored Elf outfits on each of us. 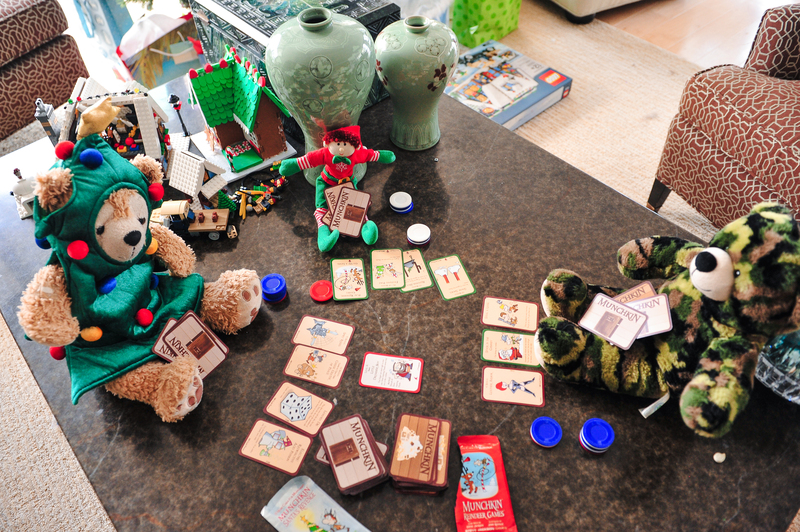 He and his cohorts in crime playing Munchkin. 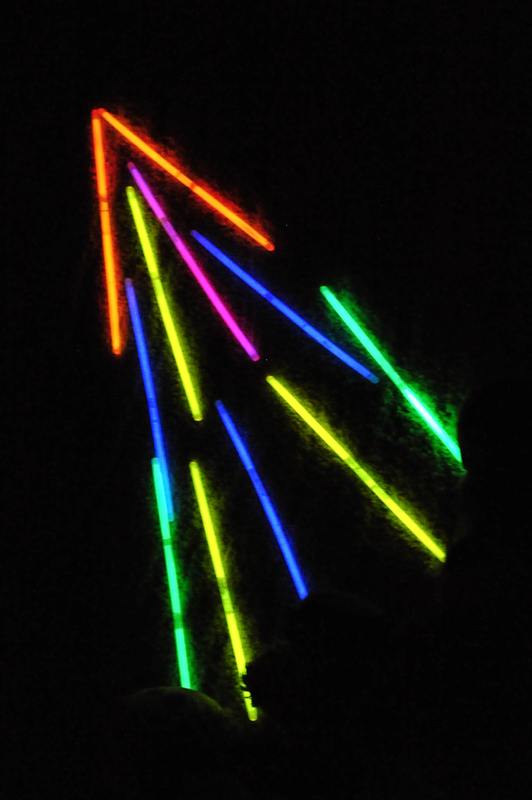 It looks like a wild party night that ended with a Christmas tree made out of light up bracelet sticks.